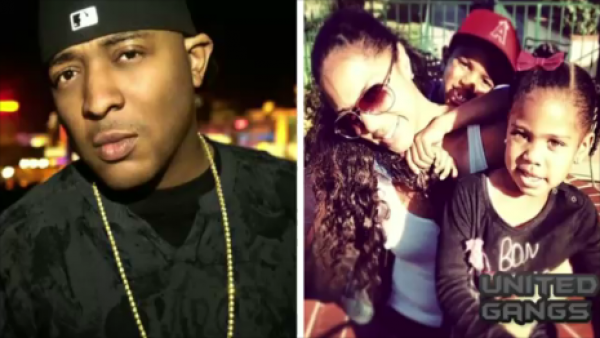 40 Glocc Use Instagram To Taunt Game about His Wife And Kids (Disrespectful). After his ex-fiancée, Tiffney Cambridge, claimed the Compton MC attacked her and broke her nose during a domestic dispute in March, he’s facing a court date later this month. Until then, a judge has ordered Game to stay at least 100 yards away from Cambridge, according to TMZ. Adding to his troubles at home, Game’s rival 40 Glocc took to Instagram after the news broke and alleged that Cambridge cheated on the rapper with “Basketball Wives” reality star Tami Roman. Glocc continued his Instagram attack this week, posting pics of Cambridge and Game’s kids, captioning each photo with sexual boasts and insults too heinous to publish here. Glocc and Game have had a longstanding rap feud that even sparked a fight that was captured on video and spread all across the Internet in 2012. But now Glocc, who was once signed to 50 Cent’s G-Unit Records, has denied posting the photos on Instagram, saying his account was hacked. “MY INSTAGRAM IS HACKED!.. ON MY MOMMA,” he wrote in all caps. News of Game’s domestic troubles first broke on April 4, but sources close to the star of VH1’s “Marrying the Game” told TMZ that the rapper adamantly denied laying a finger on Cambridge. On Thursday, Game posted a long message about not being able to see his kids. And while he quickly deleted it from Instagram, the post remains on Twitter. “Doing the best I can not to break,” the message read in part.